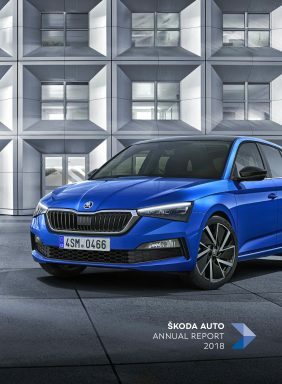 Stuttgart/Mladá Boleslav, 25 January 2018 – With ŠKODA OCTAVIA and ŠKODA KAROQ, two ŠKODA models win the “Best Cars 2018” awards of the German magazine ,auto, motor und sport‘ in their categories. More than 117.000 readers took part in the ‘Best Cars 2018’ awards. For the 5th time in a row, the ŠKODA OCTAVIA has been awarded the title of best imported car to Germany in the ‘compact car’ category with 18.6 per cent of the vote. 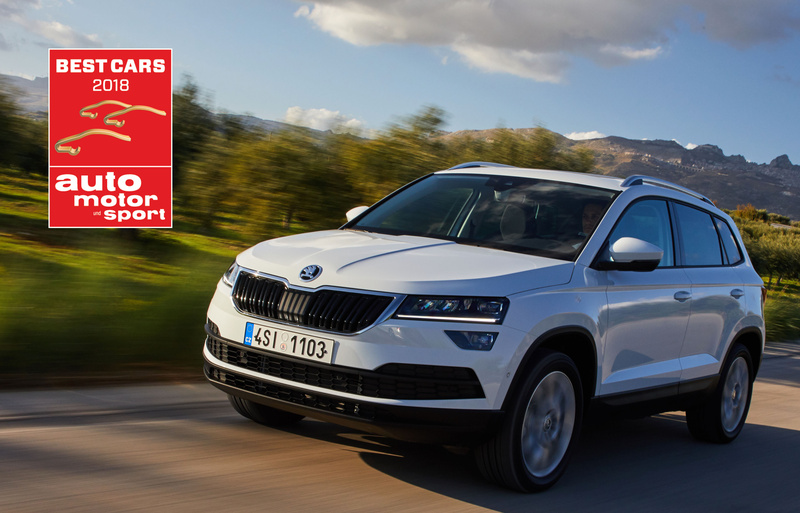 The new ŠKODA KAROQ is a winner right off the bat: barely on the market, yet already selected as the best import car in the ‘compact SUV / off-road vehicle’ category with 16.5 per cent of the vote. 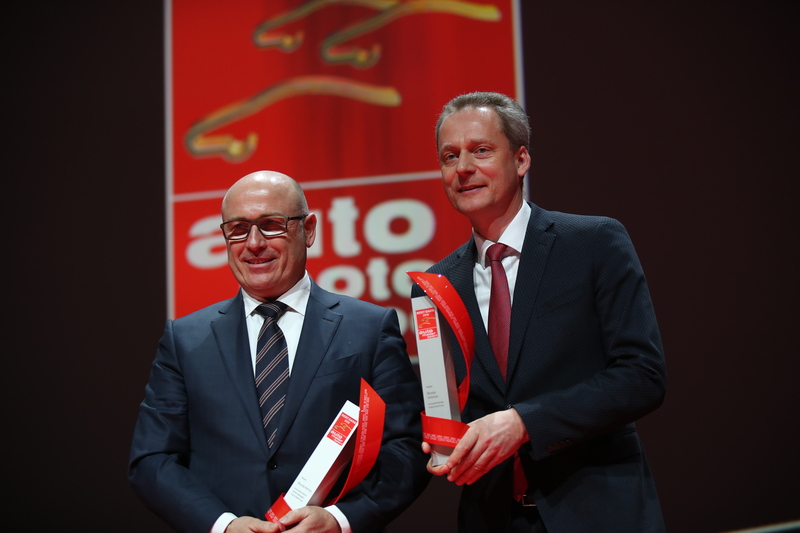 This year, ‘auto, motor und sport’ magazine’s ‘Best Cars’ readers’ choice awards took place for the 42nd time. Overall, there were 378 models in eleven categories to choose from. The ŠKODA OCTAVIA and ŠKODA KAROQ are amongst the absolute favourites of the prestigious specialist magazine’s readers. Both vehicles are enjoying great popularity, even worldwide: with almost 419,000 deliveries in the last year alone, the ŠKODA OCTAVIA continues to be the brand’s bestseller. Around 60,000 units of the compact car were newly registered in Germany in 2017. The ŠKODA OCTAVIA was comprehensively revised in February 2017 and now seems even more dynamic than before thanks to its new front and rear sections, streamlined body, and wider track. The upgraded version of the compact model impresses with proven strengths and sets standards in its segment in terms of the amount of interior space, functionality, technology for safety as well as comfort, and value for money. 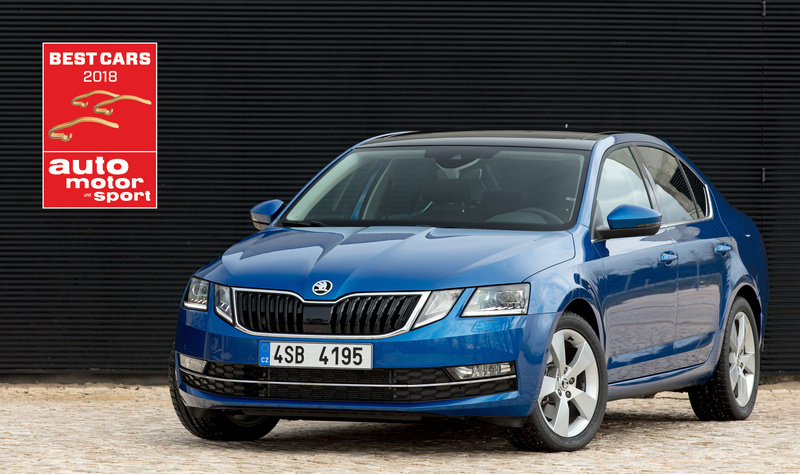 Furthermore, the current generation is the first OCTAVIA to come with the ŠKODA Connect mobile online services. Around 12,000 orders in Germany since its market launch in October last year underline the ŠKODA KAROQ’s attractiveness. The compact SUV stands out thanks to its dynamic lines and a wealth of crystalline design elements. The ŠKODA KAROQ embodies the brand’s new SUV design language and provides a high level of practicality. The 4.38-metre-long ŠKODA KAROQ boasts, for example, a boot capacity of between 521 and 1,630 l and kneeroom measuring 69 millimetres. The optional VarioFlex rear seats allow for even greater versatility. Each of the three seats is individually adjustable and can be completely removed. Thus, the compact SUV turns into a small van providing a boot with a maximum capacity of 1,810 l. Depending on the specification, the numerous highlights also include the new LTE-capable ŠKODA Connect mobile online services, full-LED headlights in a clear glass design, modern connectivity solutions, as well as a comprehensive range of driver assistance systems. A choice of up to 30 ‘Simply Clever’ features contribute to the ŠKODA KAROQ’s versatility.